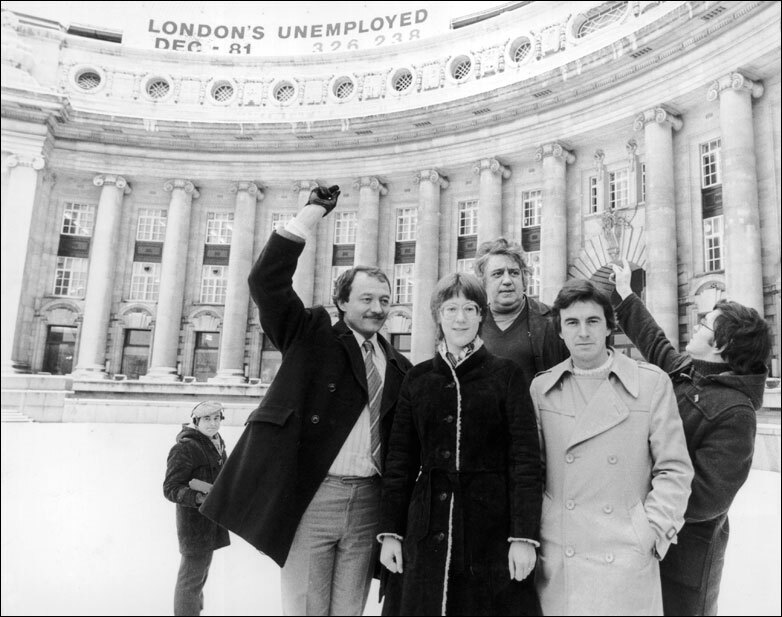 Greater London Council leader Ken Livingstone and colleagues Val Wise, Charlie Rossi, John McDonnell and Michael Ward gathered outside the GLC headquarters in County Hall for the unveiling of a sign announcing London's unemployment figures, 11 January 1982. Four years later on 31 March 1986 thousands took part in festivities that marked the end of the GLC after 97 years of local rule in London. Come back each weekday to see another classic photographs from the archives.